The researchers estimated costs by looking at exposures, then projecting 15 medical conditions linked to the chemicals and the associated health costs and lost wages. The findings are built upon calculations made by the Endocrine Society, the World Health Organization and the United Nations Environment Program. A similar study conducted in Europe found about $217 billion in annual costs due to exposure to these compounds. The U.S. public has greater exposure to flame retardant chemicals, due in part to stringent fire-safety rules. These compounds are added to furniture foam and electronics to slow the spread of flames. In Europe, pesticides were the main cost driver. Both flame retardants and certain pesticides can impact brain development when unborn babies are exposed..... Conversely, Europe has been much more proactive in tackling a particularly concerning groups of flame retardant chemicals called polybrominated diphenyl ethers (PBDEs). PBDEs were the worst offenders in the U.S., accounting for nearly two thirds of the estimated health problems. PBDEs were estimated to annually cause about 11 million lost IQ points and 43,000 additional cases of intellectual disability to the tune of $268 billion. Pesticide exposure—the second most costly chemical group in the U.S.—causes an estimated 1.8 million lost IQ points and another 7,500 intellectual disability cases annually, with an estimated cost of $44.7 billion. 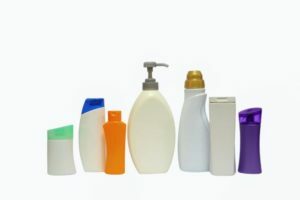 The researchers also looked at common chemicals such as bisphenol-A (BPA), used in polycarbonate plastics, food tin cans and receipts; and phthalates, found in food containers and cosmetics. Trasande said the study highlights the need to address endocrine disruptor exposure in the United States, especially as the country updates the federal Toxic Substances Control Act. The 2016 updates to the act, which regulates both existing and new chemicals, contained no mention of endocrine disruption, Trasande said. Chemicals should be screened for any potential impacts to human hormones before they hit the marketplace, he added. Next article:Time To End Heading Of Balls In Soccer?